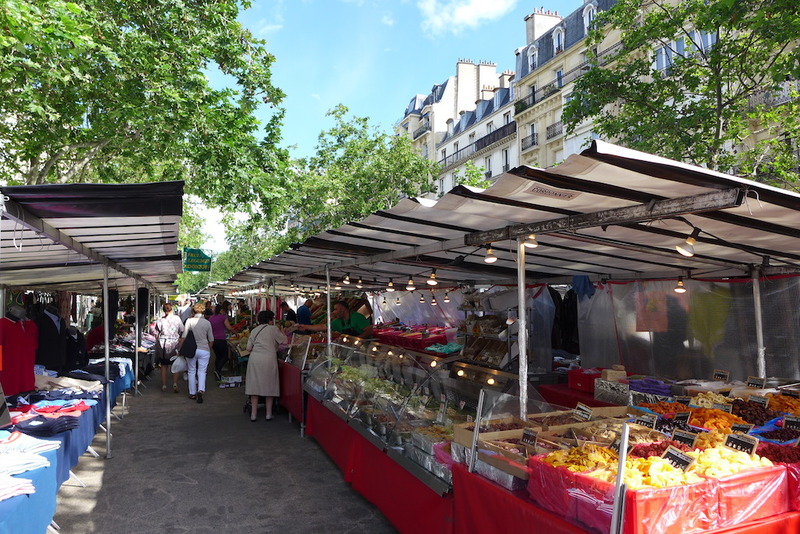 Among the 82 Parisian markets, the Marché Saxe Breteuil is one of my favourites, Number Three ranking. 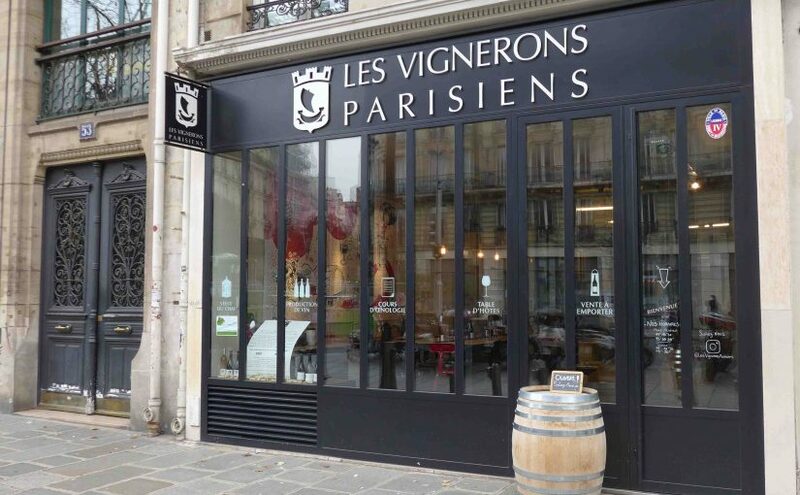 It is located in the select 7th arrondissement on the wide pedestrian central reservation of the Avenue de Saxe: at one end, the Place de Breteuil and at the other end the Place de Fontenoy and the Ecole Militaire… and above all: the Eiffel Tower in the background! 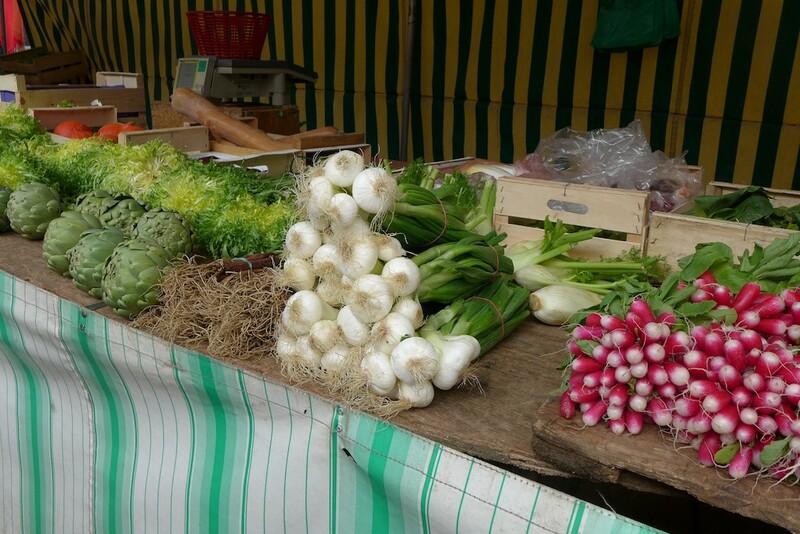 The Marché Saxe Breteuil is made in the image of the local people: smart, calm and relaxed! Its two lanes of stands are wide and never crowded ; nobody pushes you and the stallholders do not shout at the customers. There is something of a holiday atmosphere: I love it! And for a visitor passing through Paris what could be more authentic and magical than going to the market with a view on the Eiffel Tower?